Little Missy is only 12 weeks old, and she is blind. Missy was found wandering around on a road in WV, someone picked her up, they almost hit her with their car and think she might have been hit before they found her or had some kind of trauma as she had a seizure during the night (they kept her overnight). The next day, they took her to the Mercer County Animal Shelter and she had one more seizure that morning, the vet thought the seizures were as a result of head trauma. She hasn't had any seizures since then. Lisa, who works at the shelter, took her home right away and has been fostering her. She emailed me a couple of weeks ago about Missy and asked me if I could take her. This is just a guess but she was probably dumped on that road because of her blindness. 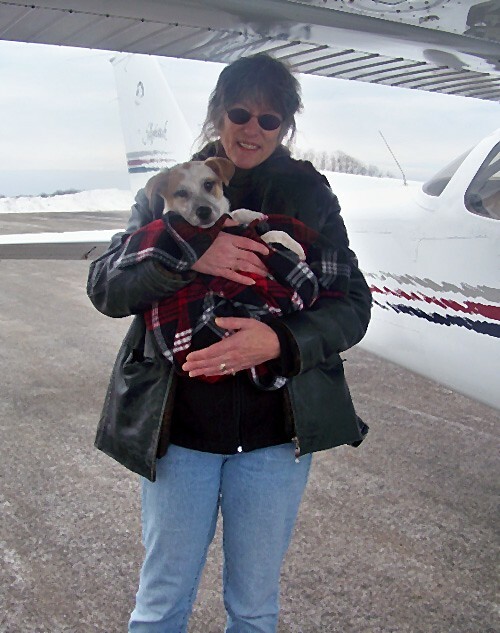 Team Mutt Muffs departed a snow-covered runway early in the AM to fly to Bluefield, WV to meet Missy. 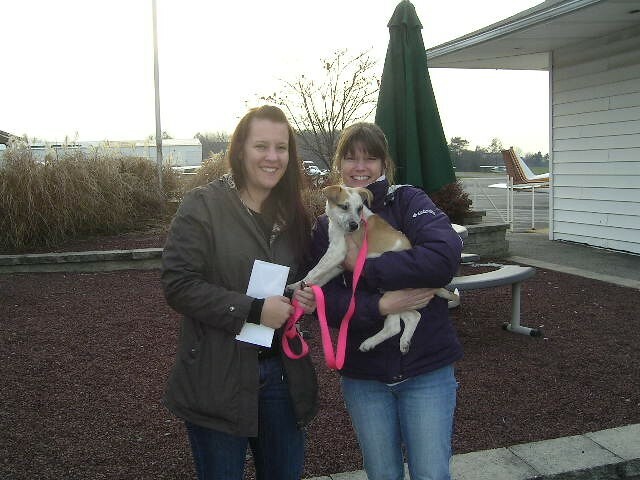 Here she says goodbye to the best person she has ever known - Lisa, her foster mom. No naps for this little girl. Leg one complete. Missy was a great flyer. 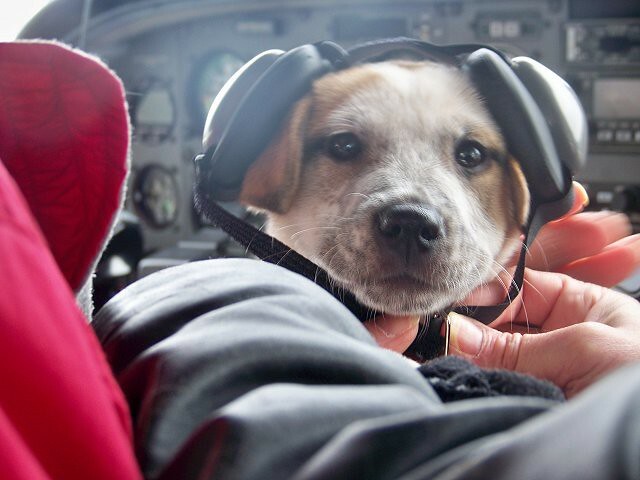 Now she meets her next flight crew. 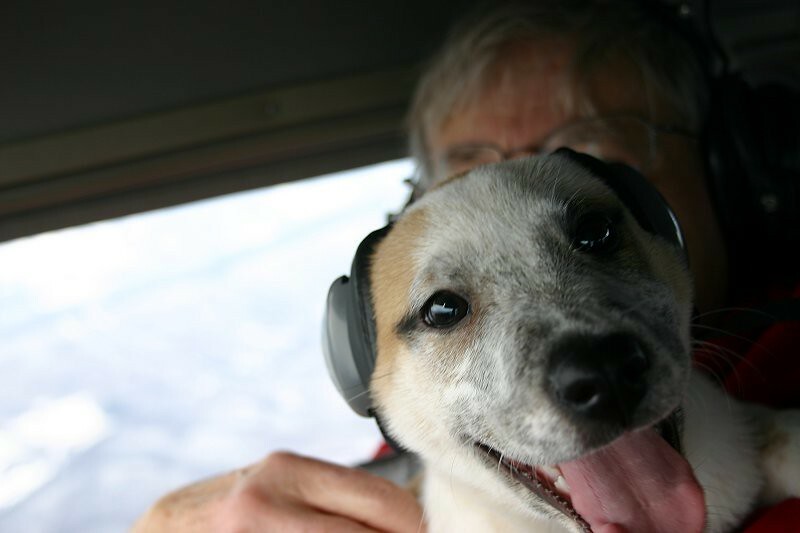 Pilot Elliott and friend Chip. 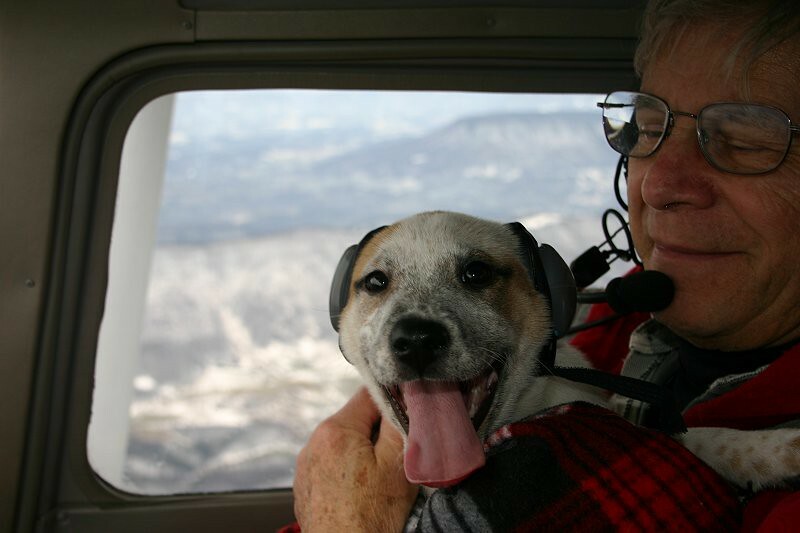 The next and final flight will deliver her safely to Rosemary, and a new life can begin. Mission complete! Missy is now with her temporary rescue people. We hope she is adopted soon, and has the wonderful life she deserves.